Installing a safe roof on your head is not a once in a lifetime job. Roofing is a complicated situation that needs you to care for shingles, the pressure of winds, collection of condensation and what not! When you come up with the toughest questions about roofs, we give you the answers from our knowledge and years of experience. Here is a list of the most asked questions about roofing troubles answered by our team of experts. We hope this article will help you solve at least some of the problems. When is the right time for asphalt roofing shingles replacement? Asphalt roofing shingles give multiple clues before deteriorating. The best indication of replacement is the time of service the shingles have provided. When your roof ages fifteen years and more, it’s time for you to call contractors. But age is not the best trial since younger roofs fail too. We suggest that you inspect your roofs once a year regardless of the year of installation. Instead of using a ladder and putting yourself in danger, the use of binoculars works perfectly well. Even the best roofing shingles need replacement. The trusty asphalt shingles give a lot of signals. From many shingles lifting up, cracking down or gone missing, these are all clear signs of the protective granules wearing off. Other than these outwards signs you can also check your roof from the inside of the attic. Switch off the attic lights on a sunny afternoon and inspect the underside of the stack vent and chimney. The visibility of any pinhole spots of light or the shot of flashing are a few more indications of the roofing shingles might need an update or professional inspection. What else can you check from the attic? While you’re still in the attic you can check for stains. Scanning the underside of roof sheathing will reveal any new water stains that might have appeared after your last inspection. Remember to check for moist and soft spots that tend to appear after heavy rains. If your roof shows a widespread of such complications it’s a telltale sign that you need to contact a roof contractor as soon as possible. What causes stains on the shingles? 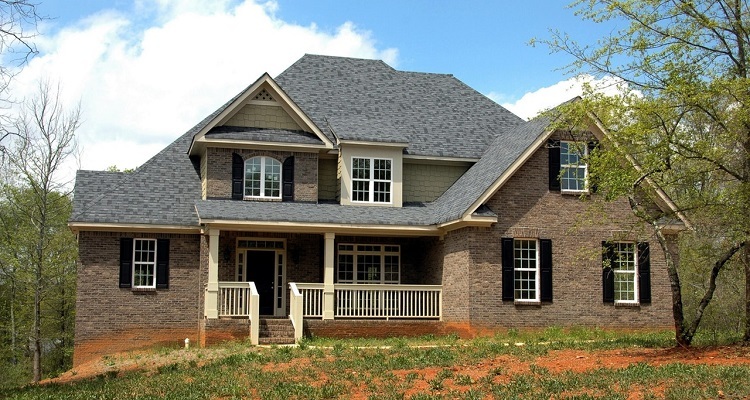 Roofing shingles often end up with dark streaks that make them look unsightly. This streaking is caused by a type of algae that feeds on the minerals used in the manufacturing of a certain type of shingles. Algae survive best in moist regions hence the streaking is mostly found in north-facing or shaded parts of the roof that get little to no sunlight every day. The algae may not be damaging the performance of the shingles but it surely looks hideous. A solution of one part bleach and two parts water works ideally in removing the algae. You can use a pump to spray the concoction. You can scrub the surface with a gentle window brush that has an extending pole. Do not climb the roof to follow the procedure. We suggest that you use a ladder here.